This year’s edition of the European Junior Swimming Championships is headed to Helsinki, Finland, where emerging young talent from across the continent will convene on the Mäkelänrinne Swimming Centre in the quest to take home the most hardware for their respective nation. Competitors are aged 14-17 for females and 15-18 for males as of December 31, 2018, giving the world a glimpse into who the players may be on the European swimming scene for the next several years to come. At the 2017 version of these Championships, the overall medal table was dominated by Russia, who totaled 30 medals in all, but Hungary’s youth stepped up to tie the aforementioned in overall golds. Both Russia and Hungary swam away with 11 golds each, courtesy of several key athletes who are competing once again this time around. With the action kicking off in Helsinki tomorrow, here are 5 swimmers on our list to watch over the course of the competition. One of the most electric performances of last year’s edition of the meet was Kristof Milak‘s 200m fly time of 1:53.79. 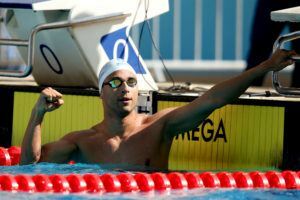 The performance broke the official World Junior, European Junior and Meet Records, but was also faster than the ‘true’ World Junior Record done by Michael Phelps. 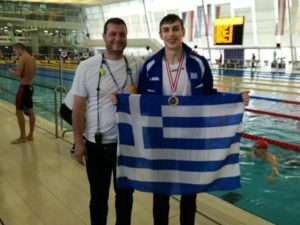 Last year Milak also went on to win 2 individual World Junior titles in the 100m fly and 200m fly, while moving onto his first international elite senior medal, a silver in the 100m fly at the World Championships in Budapest. The 18-year-old is currently ranked #1 in the world by a second in the 200m fly event with the monster 1:52.71 logged at this year’s Hungarian National Championships. In addition to his signature event, Milak is also entered in the 50m fly and 100m fly, along with the 100m/200m/400m free and the 100m back. 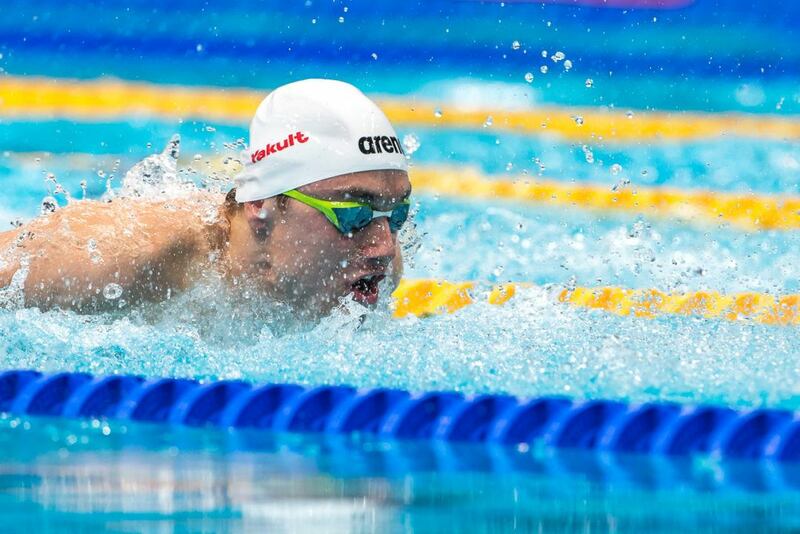 Already this year, Kolesnikov has clocked world-class times and is situated among the top 10 around the globe across the 50m, 100m and 200m backstroke. He’ll be taking those races on here in Helsinki, along with the 50m and 100m freestyle events. SwimSwam’s ‘Female Swimmer of the Meet’ at this competition last year, Anja Kesely of Hungary racked up wins across the 200m, 400m, 800m and 1500m freestyles in Netanya, netting championship records in all but the 400m. At this Spring’s Hungarian Nationals, she impressively nabbed multiple titles, showing her range with golds in the 200m free and the 1500m free. In the 400m free at nationals, Kesely was able to beat out Olympic bronze medalist Boglarka Kapas, clocking a time faster than what she produced at last year’s World Championships. Kesely’s mark of 4:05.61 from that race still remains as the 9th fastest time in the world this season. Anderson pulled double duty in 2017, racing at both the World Junior Championships and World Senior Championships. At the former, Anderson clocked a new championship record-setting time of 53.88 to win the 100m freestyle junior title, while at the senior championships she surprisingly made it into the semi-final round of the same event. She is a two-time bronze medalist at the latest Commonwealth Games, splitting 54.95 on the 2nd leg of England’s 4x100m freestyle relay and 2:00.11 for her part on the 4x200m freestyle relay. Individually, Anderson fell just short of making the 100m freestyle final, registering a time of 55.28 for 9th on the Gold Coast. Here in Helsinki, Anderson will be taking on the 50m/100m free, as well as the 100m fly race. A trio of talent from Great Britain is bubbling just beneath the surface in the form of Nicholas Pyle, Jacob Peters and Tom Dean, so we’ve bundled them into a three-fer. Last December, 17-year-old Nicholas Pyle nabbed 2 age records for British 16-year-olds while competing at the Swim England Winter Championships in Sheffield. He threw down a personal best of 25.62 in the 50m backstroke and 54.95 in the 100m backstroke to check-in as the fastest ever British male of his age in each distance. Competing at the TYR Pro Swim Series in Austin this year, Pyle did even better, holding his own against the likes of America’s Matt Grevers and Justin Ress, as well as his own domestic competition in Luke Greenbank. Pyle placed 5th overall in the 100m back in 55.39, beating out Commonwealth Games-bound Greenbank who settled for 6th in 55.65. In Austin he also clocked a new British age record in the 50m free (25.39). 17-year-old Jacob Peters scored a huge personal best 200m fly mark of 1:57.17 to earn Commonwealth Games qualification while competing at this past April’s British Nationals. Entering that meet, Peters’ personal best sat at the 1:58.40 he clocked at the 2017 World Junior Championships in Indianapolis. His 1:57.17 time made him the fastest British 17-year-old in history in the event and situated the budding star among the top 10 Brits of all-time, sliding into the 7th position, ahead of notables such as Duncan Scott, Jay Lelliott and Mark Szaranek. While competing on the Gold Coast, Peters indeed held his own, earning another 1:57 effort in 1:57.75 for 5th place overall at the Commonwealth Games. Tom Dean was another emerging athlete who had a particularly standout performance at this year’s British Nationals, smashing a new personal best in the 200m IM. Holding off big boys Tim Shuttleworth and Dan Wallace, 17-year-old Dean registered a new career fastest effort of 1:59.88 for the gold, representing the first time he’s been sub-2 minutes in the event. In Netanya last year, Dean won 200m IM gold in 2:01.02, so the teen has already proven he’s capable of crushing that mark en route to a possible European Junior champion title defense at these championships. Great edition of EuroJuniors with many, many other promising swimmers to cite (for instance,considering the men’s fly, Minakov, Burdisso and Zenimoto Hvas are at least as much interesting as Peters). Obviously two superstars: Milak and Kolesnikov, Both have the most important event of the season, the EuroChamps in Glasgow, in a month. Here at EuroJuniors, Kolesnikov won’t be competing in the 100 free where the 4 Russian swimmers at the start will be Minakov, Shumilov, Markov and Chivilev. Thank you Loretta for this great article. I’m looking forward to this race, it might be the fastest European Juniors to date. Obviously with only a list of five(ish) swimmers some are left of the list. From these the young Italians Ceccon and Burdisso standing out the most to me. I’m really intrested what Milak can do in the 100m back with some rest, as he was 54.96 (.01 over the Hungarian Junior record of Cseh) at the Hungarian Junior Nationals where he was 53,43 and 2:00.51 in the butterflies. Brit perspective: Tom Dean is a huge talent – can’t wait to see what he can do. Amgharad Evans, another massive talent who hasnt had the easiest year – Hopefully she will come out firing and could potentially drop a lot of time in the 50/100br. Generally, super excited by Burdisso and Sabitova on the boys & girls fly events, and a few of the young Russians generally (Zaitsev, Nikonova, Stupin). I’m not sure he swam it at trials, but based on his swim at juniors last year and his split on the 200 IM at trials I’m surprised Dean hasn’t been entered in the 200 breast on the first day. I don’t believe he has any other events on that day and there’s only other one Brit in that event. Seems like a good chance for a warm up for the meet.